← It’s Time ~ Come “Celebrate Magnolias”! 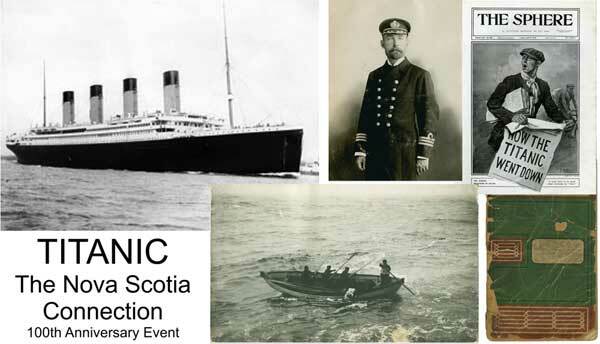 The Historical Association of Annapolis Royal cordially invites you to attend a very special 100th Anniversary commemorative program about the Titanic on Monday, June 18, 2012, 7:30 p.m. at St. Luke’s Anglican Church Hall in Annapolis Royal. Guest Speaker will be Garry D. Shutlak, noted member of the Titanic International Society and the Titanic Historical Society. Garry is the Senior Reference Archivist with the Nova Scotia Archives and was consultant to the Maritime Museum of the Atlantic’s Titanic Exhibition and, most recently, to Engel Brothers Media for “Titanic Ghosts”, a made for television program. The tragedy of the White Star Liner RMS Titanic needs no introduction, but our Nova Scotia Connection is fascinating and not as well known. On its maiden voyage from Southampton the great vessel suffered irreversible damage after hitting an iceberg at 11:40 p.m. on April 14, 1912. Five water-tight compartments opened to the in-rushing sea. At 2:20 a.m. the next day, April 15, 1912, the “unsinkable” technological marvel of the Edwardian Age sank. The horrible loss of the RMS Titanic is one of the historic landmark events of the early 20th century. Discovery of the wreck in 1985 coupled with the enormous international success of the 1997 film have guaranteed that, although the great liner rests at the bottom of the North Atlantic, she will sail on forever in our imagination. This special program, proudly sponsored by The Historical Association of Annapolis Royal, is a small contribution towards perpetuating the memory of those who died in Titanic’s catastrophic end, and honours the heroes of Nova Scotia who valiantly attempted to save and properly honour her victims.